Adam Garcia is a creative director, designer, and illustrator at the Portland based studio, The Pressure. A native Minnesotan, he is also a Minneapolis College of Art & Design alumnus and an adjunct faculty at Portland State University. Over the years, Adam has racked up a client list longer than a Timbers fan’s beard—and significantly more impressive—working with clients like Nike, Target, Nickelodeon, Wieden+Kennedy, Fast Company, and New York Magazine. AIGA Portland is thrilled to work with Adam as he lent his talents and creativity to create a stunning commemorative poster design for our Design Week Portland event, “Stefan Sagmeister: Design and Happiness,” happening October 8 at the Portland Art Museum. We had a chance to catch up with him recently for some Q&A about his work and process. Adam, thanks so much for taking the time to answer some questions for us! First off, how long have you lived in Portland? And what excites you about the creative scene here? The potential. It’s fertile ground here. Tell us about The Pressure. The Pressure started as my freelance moniker, and in 2012 turned into a full-on studio. I hired designer Anton Pearson and filmmaker Ryan J Bush has been deepening the studio’s practice through video narrative after interning as a designer. 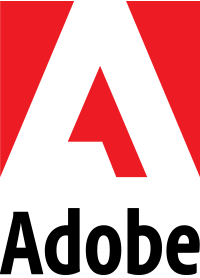 We create a wide variety of work, from product design and identities to editorial illustrations, gallery shows, lettering and typographic work. Overall, we try to imbue our work with a sense of energy, surprise and thoughtfulness that enables us to work across mediums and be truly excited and engaged in every project, and relationship. Well we’ve definitely seen that excitement and engagement first-hand. You’ve donated a lot of your time and talent to AIGA Portland over the years. 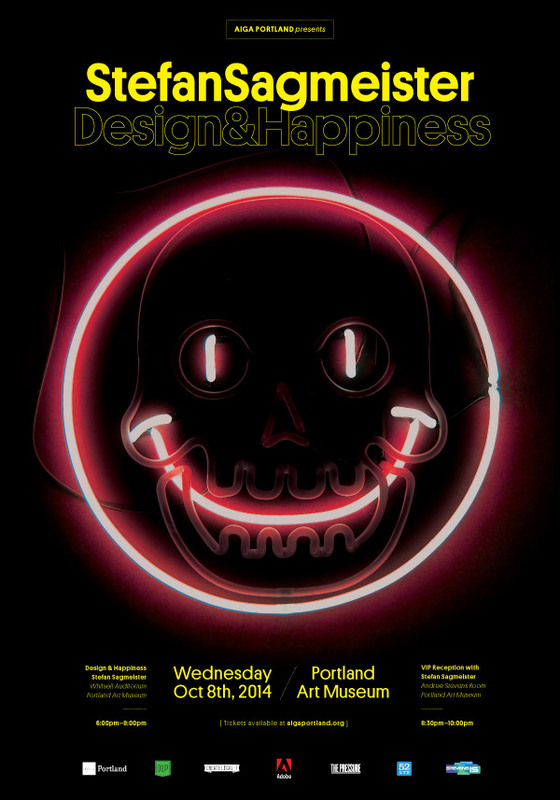 From being one of the guest alphabet artists at our inaugural Design Week Portland 2012 event, “Graft,” to the AIGA Centennial Chair, and now the poster for Design Week Portland 2014 event, “Stefan Sagmeister: Design and Happiness.” What does being involved with AIGA Portland mean to you? I like the idea of helping represent the city in a way that may be a bit unexpected and surprising, and working in collaboration with AIGA Portland has been a good way to do that. And you guys are all nice humans. Stop, we’re blushing. What does Stefan Sagmeister’s work represent for you? How has he influenced you? I’ve been a fan of Sagmeister’s for a long time. His first book really affected me upon its release. I remember an attention to detail, sense of humor, smart processes and, of course, overall beauty and scale in the work that is definitely something I tried to soak up as much as I could as a student in college. On that note, what was your inspiration for this year’s poster design? We wanted to do a couple things with the identity for the event. I had the chance to see Sagmeister’s full lecture in South Africa at Design Indaba last February, and it was amazing. Overall, there was a theme of reconciling what you do on a daily basis and finding happiness in the finiteness that is our lives. It is very philosophical, in discussing man’s search for discovering meaning and happiness, well, before we die. By using simple graphic clichés and juxtaposing them in a fresh way through neon, we could talk to that. Also, Sagmeister shares his working processes, like going to Bali and working with wicker artisans to create pieces, and documenting the process. We thought that by creating a short film on the creation of the sign, we could mirror that sentiment as well. Interesting. Tell us a little more about that video, and your process for this project. We’re pretty sure it didn’t involve a Balinese wicker artisan. As a studio we discussed different ways to create an image that would be strong, and talk to the concept of the event. After realizing that neon would not only make a great binary image using the smiley and skull, we realized that we could add depth to the project by creating a short documentary on the sign’s creation. This led to the film about our friend Mike Heist, who we interviewed on the process, happiness, etc. After I designed the sign, we handed it off to Mike, who handcrafted it. You can see the full process in the video. Let’s talk about Design Week Portland for a minute. Which event, besides “Design and Happiness” are you most looking forward to? Looking forward to Kate Bingaman-Burt and Jason Sturgill’s solo shows that week, as well as our open house (NORTHWEST, Y’ALL) and the “Joys of Collaboration” lecture on Wednesday night after the Sagmeister lecture. Sagmeister will be speaking on the topic of what makes us happy. So, what makes you happy? Oh man. I really like dancing. There were many years where dancing was my life, but it’s been absent for a while. I’ve been revisiting it, and it’s lit me up in a way that makes me soooo happy. Also, great conversations with intelligent humans, of course. Of course. And on that note, I don’t think everyone knows this, but in addition to running The Pressure, you also organize and host something called the Amazing Stumptown Spelling Bee? The Amazing Stumptown Spelling Bee was a personal project that I started three years ago, and kept going for a whole year at a bar that ended up shutting down. The bartender that helped me get it started at the time, Aaron Hall, ended up opening Dig a Pony a few years later, and we began it again there about nine months ago. My love of words, design, participatory events and music all converge at the Bee, and it allows us to meet and be a part of something that is really energizing for the studio. Anton deejays and he’s been a great deejay since like 1996, so it’s also a way for us to throw a show together. Come on down, everybody. Cash prizes. Words. Good times. 3rd Monday of every month! Well there you have it, folks, a man of many talents. Thanks again to Adam for donating his time and wicked design skills and to Mike Heist and Stevens IS Printing for making Adam’s vision a reality! You can check out the work of Adam and the gang at thepressure.org, or hang with them at The Amazing Stumptown Spelling Bee. Either way, be sure to join AIGA Portland next week for our event “Stefan Sagmeister: Design and Happiness,” where you’ll be able to see this brilliant commemorative poster in person and take home a print for yourself.